When you visit us at New Covenant, you’ll find a group of loving people. We do not claim to have all of the answers, but we’re confident in our Lord who supplies all of our needs. We do not blindly follow our faith. We study the scripture and stay current on the world’s situation. I invite you to join with us at New Covenant as we seek to follow God’s will. May the joy of knowing Christ be yours today. Join us for an interactive/educational event for parents & toddlers (ages 3 to 5 years old). 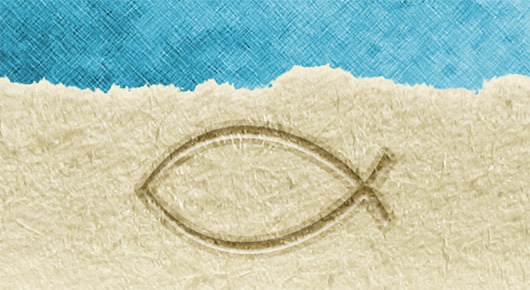 Our theme will be how God made each of us unique! We'll have cognitive skills, fine motor skills, gross motor skills, and pre-reading skills activities for children to enjoy! Reservations for this FREE event are required and can be made by e-mailing marshadianelane@gmail.com. Event will be held Thursday, May 2, 10:00 am - 11:00 am at New Covenant Baptist Church, 624 Lake Lowell, Nampa. We are collecting the "box tops for education" and the "labels for education" that are on many soup cans and boxes of canned goods. A jar is set up on the Missions Table in the back of the sanctuary for this very purpose. Rather than tossing these items the trash, please save them and put them in our collection jar. We will be helping Wilson Elementary in Caldwell. 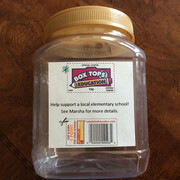 The school should receive 10 cents for every label you donate!